Explore the Yelm-Tenino trail. The wind blowing through your hair and new experiences with friends or family by your side. To start the trail on the Yelm side, find the trail head next to the Yelm Skate Park. 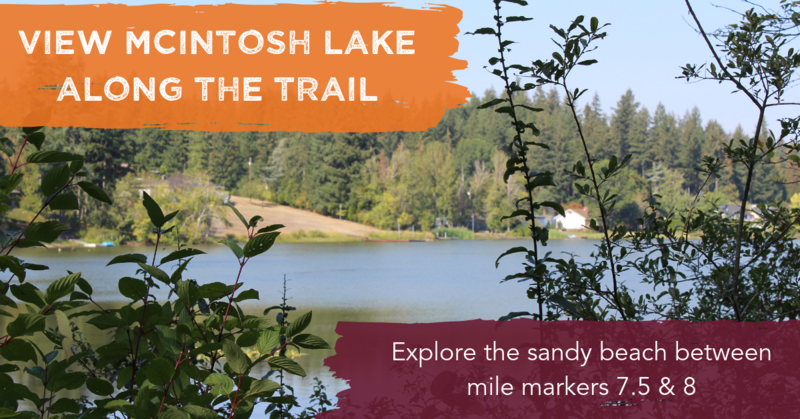 To start the trail on the Tenino side, find the trail head next to the Tenino City Park. Family Fun: From splashing in a swimming pool made from an old sandstone quarry, to tasting frosted cookie perfection—this trail is perfect for a family adventure and has numerous stops to keep the kids guessing. Grown-up Getaway: Sample local wine, try a flight of Moscow mules or act like a kid again and sip your handcrafted drink through a Red Vine—find new reasons to go the extra mile for locally made food and drinks and finish the day with a movie. Explore the entire region. There&apos;s lots to see and do in the area. For more inspiration, check out the Thurston Bountiful Byway.